Contouring, if done correctly can leave you with the facial structure of a god, done incorrectly and you’re left with dirty looking streaks on your cheeks! 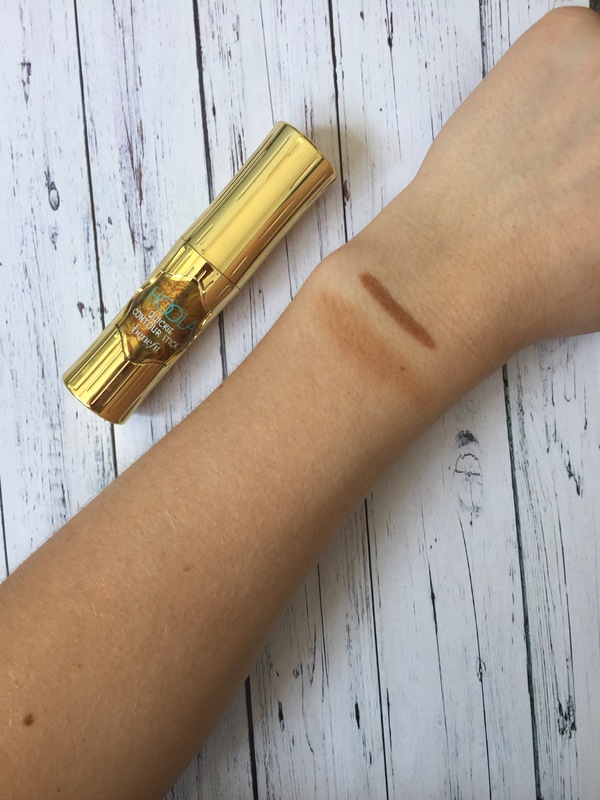 Any device or product that can help me conquer the contour I’m all for, so when benefit released their new Quickie Contour Stick I just had to get my hands on it. Coming beautifuly packed along with a leaflet containing tips and tricks on the best way to contour for your face shape, I could already tell this was going to be a £23.50 we’ll spent! Being someone who’s slightly on the pailer side, it can be hard to find bronzing products that don’t look too harsh yet still have a tanning effect. Surprisingly this product only comes in one shade, however, by layering up this product you can determine how harsh or light you want the product to look. This product is described as a “cream that blends into a powder” once again I had my doubts. As you may be able to see from the image above this product does just that! The cream application makes it easier to get a sharp line which is easy to build, but the powdered blend leaves you with a more natural finish that perfectly sharpens your features! I’ve personally worn this product to work as well as going “out out” and found that this is easily adaptable to different looks. When going to work I apply one layer on it’s own (no other skin products), this created a natural and effortless look, I was even told I looked more tanned! For a more dramatic and heavier look I used two layers on top of a tinted moisturiser, which left me with a more harsher, yet natural looking contour. This product can work on all skin tones as well as working with all types of looks. If you’re someone who loves to contour or just enjoys looking bronzed this product is for you! Not only is it easy to use but can be taken with you on the go for any top ups that may be need. Hope you enjoyed this product review, got any products you want us to review? Let us know down below! P.S. we will be doing a five away at 1,000 followers on Instagram so be sure to follow us for a chance to win!